Looking for lawnmowers near North Yorkshire? 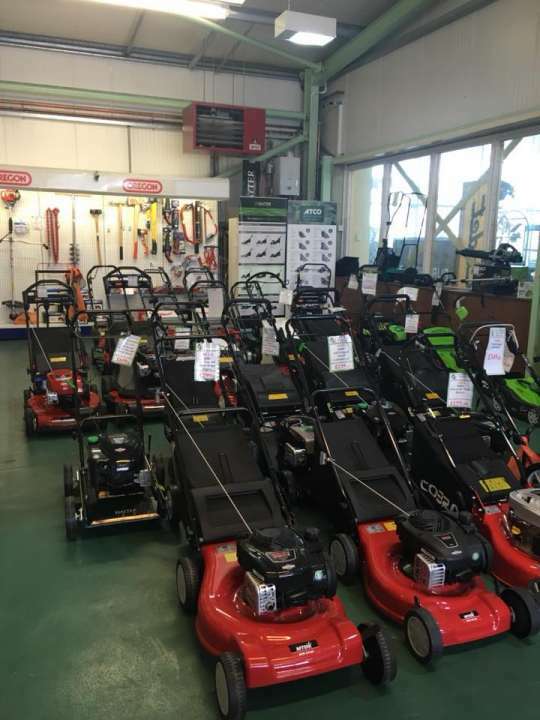 With a wide range of lawnmowers near North Yorkshire on display at Steam and Moorland Machinery Centre, we frequently welcome visitors from all over the county who come to get the best value for their money. With our garden machinery, this is the promise you get. Not only do we offer a wide range of lawnmowers for you to choose from, we take care of your preferences in terms of brands, prices, and capacity. Our available range of lawnmowers near North Yorkshire has to be the biggest in the county. With a variety of popular brands, you will find all options you could hope for in our garden centre. We have all types of lawn mowing machinery on display in our premises, including pedestrians, riders, tractors, and automowers. We have all your favourite brands available, including Atco, Bosch, Husqvarna, Hayter, and many more at various prices. We have both electronic lawnmowers as well as manual and traditional mechanisms available in our range. We get frequent visits from residents of vicinities all over the county. Garden owners understand going over to a garden centre where they can compare various products can save them a lot of money and get the perfect machines to tend to their garden. This allows them to meet with our on-ground experts in garden machinery who provide solutions to specific problems and impart professional advice regarding the available options. You can come over to our garden centre to get professional help and high-value products for your garden any day of the week. We are open on Sundays as well and help frequent customers who are interested in our wide range of lawnmowers near North Yorkshire. Getting to Steam and Moorland Garden Centre is quite convenient for residents of North Yorkshire. The journey takes a little over an hour on a normal afternoon and your children will have a great time on a car ride with their parents. You take the A658 and cross over to the A59 and then over to the A64 and drive all the way to our gates. Steam and Moorland Garden Centre presents our online store where you can buy all of our products from your desk. The online store is designed to make your browsing through our stock convenient with filters. Apart from a great variety of lawnmowers near North Yorkshire, we have all kinds of garden machinery that we ship across the UK and to the EU. Besides this, we also stock a great range of garden products such as fencing. Visit our machinery centre this week or just place your order online.